Encinitas bed and breakfast travel guide for romantic, historic and adventure b&b's. 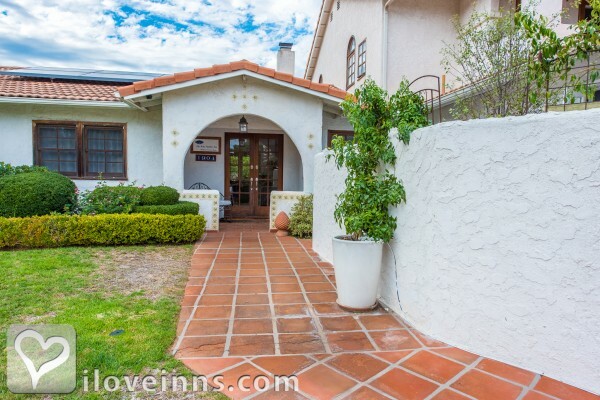 Browse through the iLoveInns.com database of Encinitas, California bed and breakfasts and country inns to find detailed listings that include room rates, special deals and area activities. You can click on the 'check rates and availability' button to contact the innkeeper. Encinitas is the quintessential Southern California beach town; clean, quiet, with a deep respect for the ocean and environment in general. Home to the San Diego (formerly Quail) Botanic Gardens and the Meditation Gardens on the grounds of The Self Realization Fellowship, Encinitas has become a surf and vacation destination, with beautiful beaches, palm trees, and easy access to downtown San Diego. By Kate Stanton Inn. Encinitas is a coastal city in the southernmost part of California. As a city that is located at the coast, it is naturally gifted with fine beaches that the locals are most proud of. Tourists who wish to enjoy the sea and the warm weather would definitely want accommodations at Encinitas bed and breakfast inns located near the amazing beaches. Tourists who come to Encinitas must not miss having a picnic at either Moonlight Beach or Swami's Beach. If they want to learn how to surf, they may opt to enroll for a very short basic course at Leucadia Surf School which is 31 miles away from Encinitas' city center or at Surfin Fire Surf School. Those who liked to try their best golf swings can spend a whole day at Encinitas Ranch Golf Course. By Inn at Moonlight Beach.